Do you give credence to the work of … ? 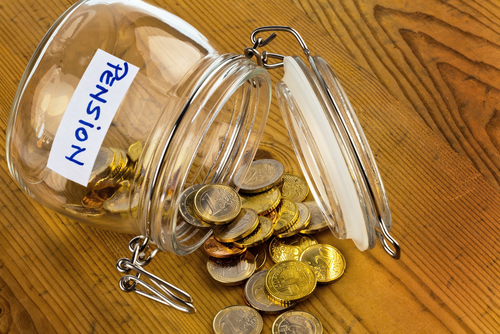 Can’t government pension funds be privatised or sent to open market? ANSWER: No, I do not. The problem is far more complicated. First, you clearly have tremendous losses already. If you privatized the various government pension funds, you then have many laws that have to be altered. You would have to take away the political playground of politicians. In California, for example, the politicians directed the pension fund to INVEST in “green” companies for the environment. They lost a ton on money on that one. As far as PRIVATE PENSION funds, keep in mind that many can invest in what they want in North America. 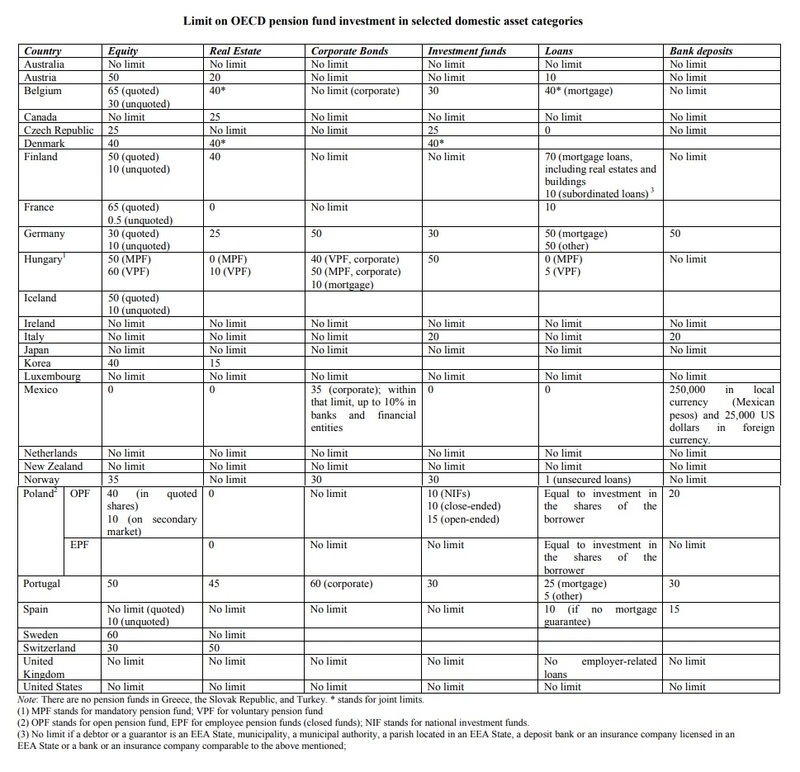 The following table is a list of restrictions on pension funds and their investments in selected asset classes. There are only SEVEN nations that do not regulate the mix of private investments in a pension fund — USA, Australia, Ireland, Japan, Luxembourg, Netherlands, and New Zealand (which the new socialists want to change). Bonds & The Record High Short Position Can Majority Be Wrong?